Living longer lives on commercial foods? Now and then I am asked; why do some cats that eat commercial pet foods all their life and live to be 20, yet never ate a raw diet? 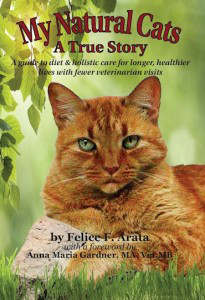 My first thought is WOW, I wonder how much longer that cat would have lived if fed a raw diet. Genes is the answer and the more we feed and breed on commercial foods and give vaccines the weaker the genes line will be. I wish I could have had a cat that came from a good gene pool like that, but those days may be far behind us unless you buy a cat from a breeder that feeds only raw and I do know of a few. It a real shame I’m too old to raise another cat that could live past 25!